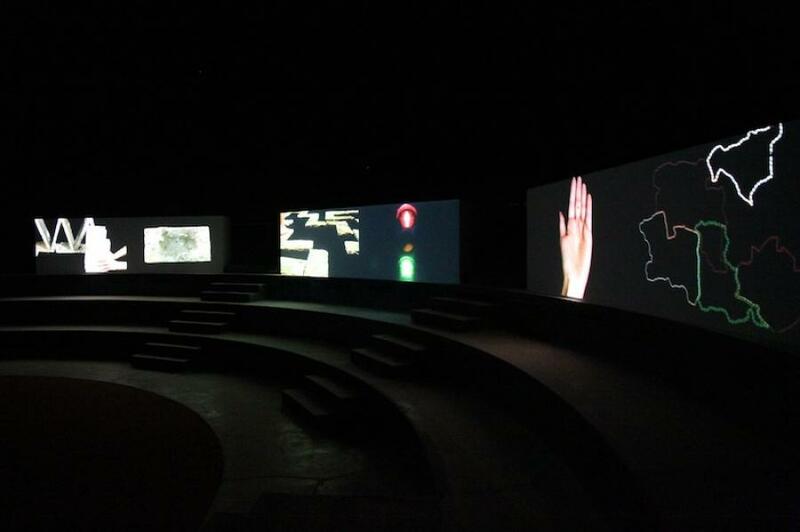 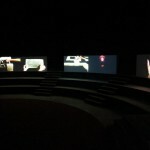 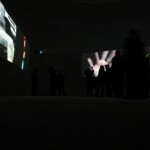 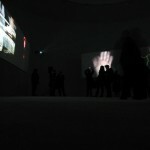 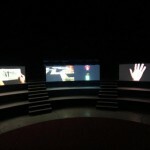 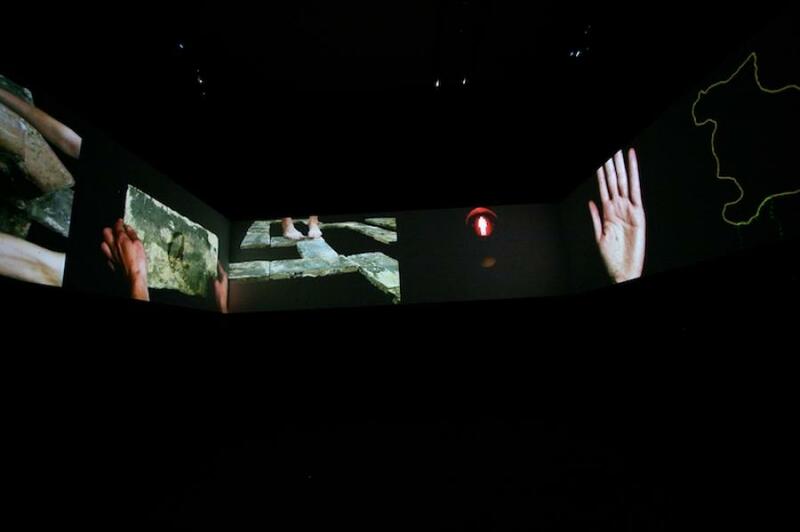 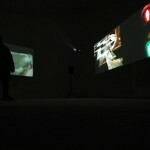 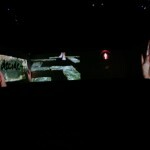 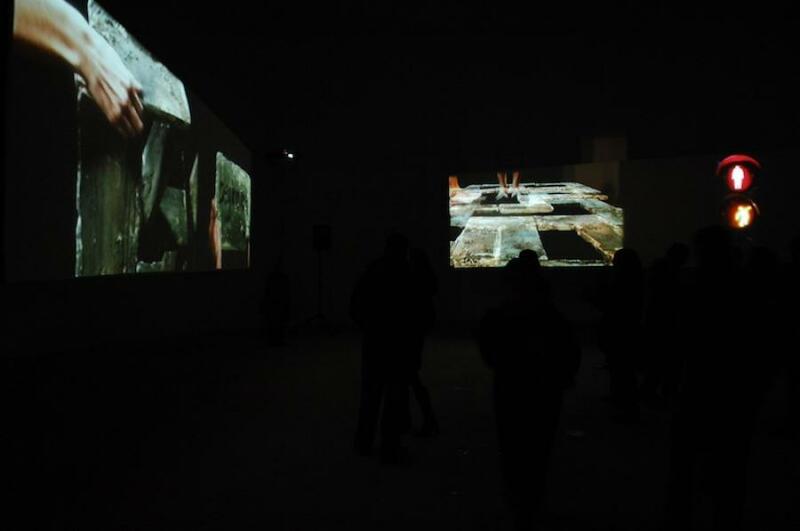 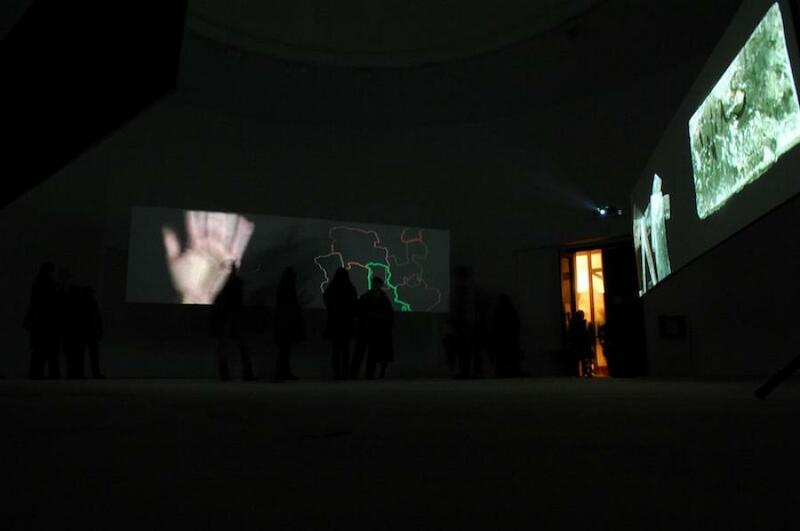 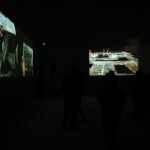 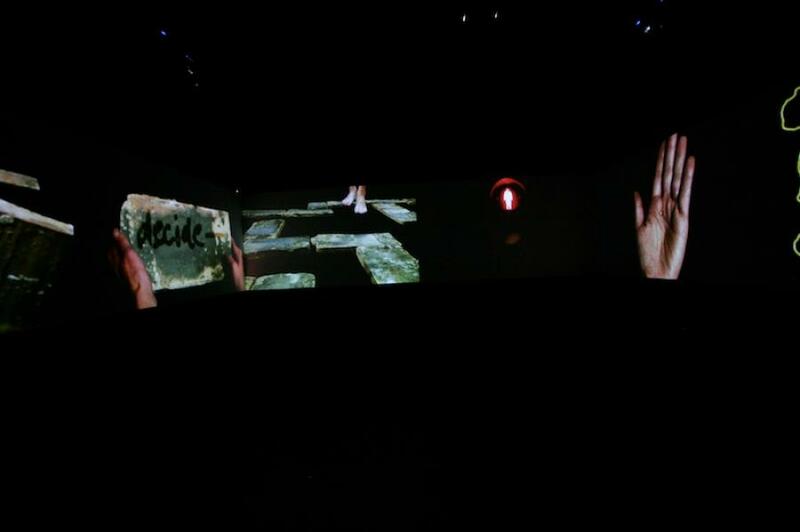 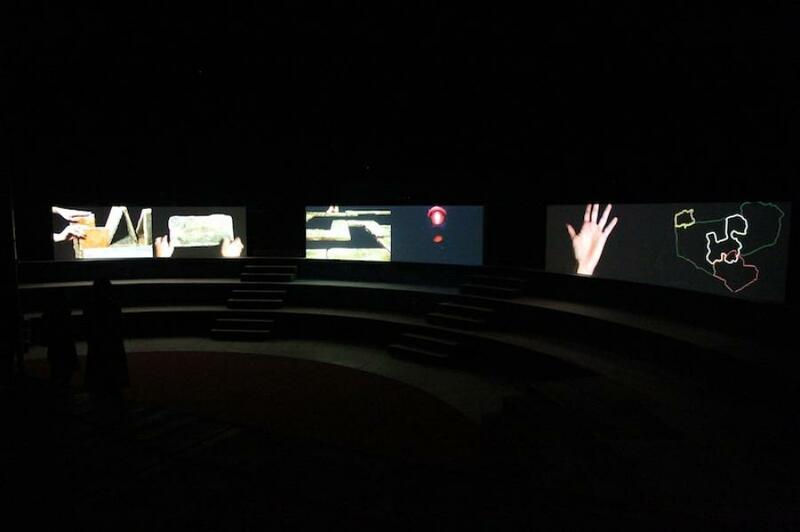 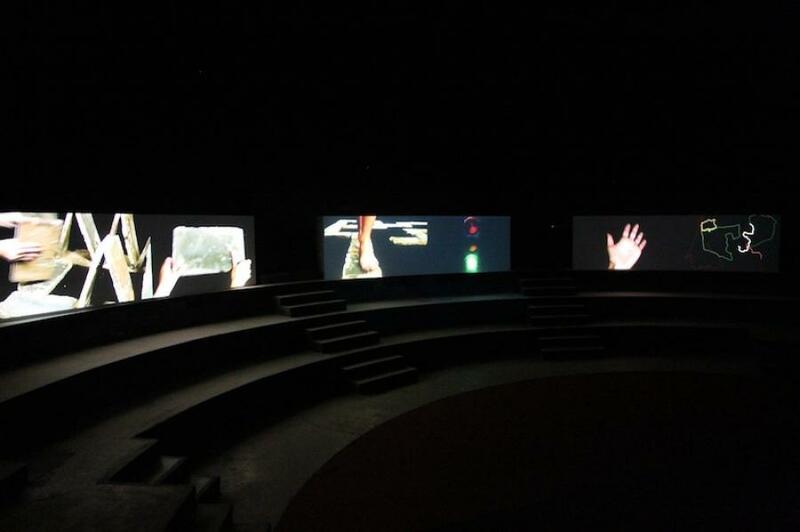 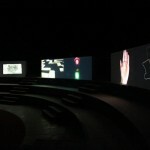 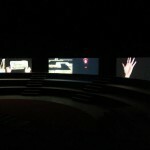 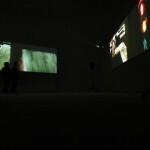 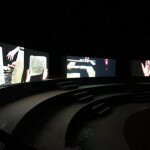 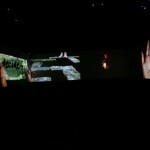 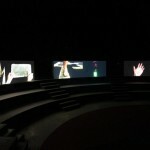 Three videos are projected onto three floating screens in dark space. 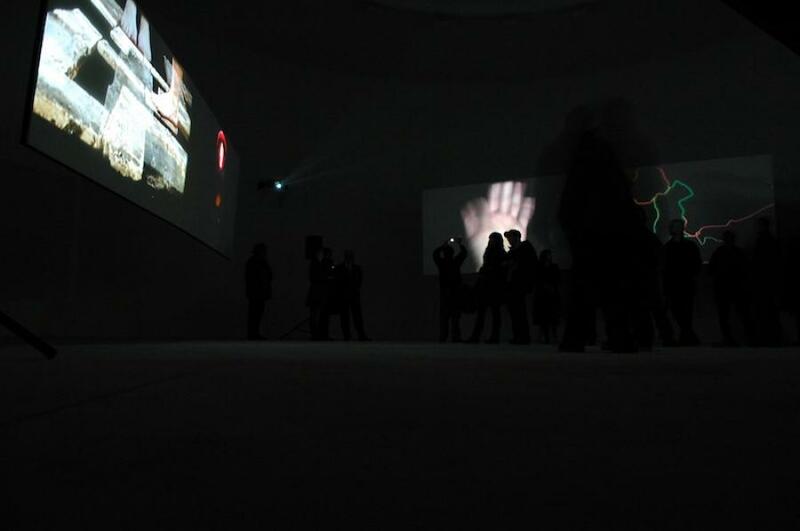 This installation can be viewed frontally or can be set up to circumscribe the installation space. 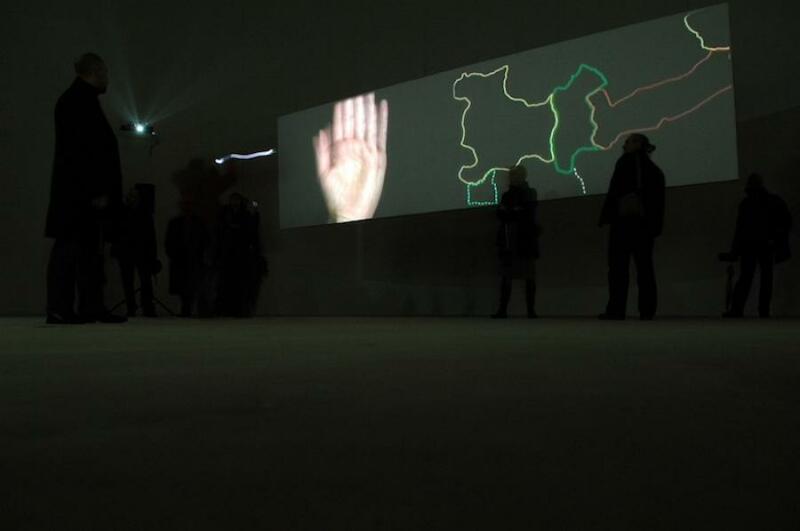 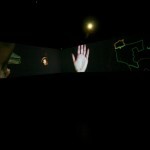 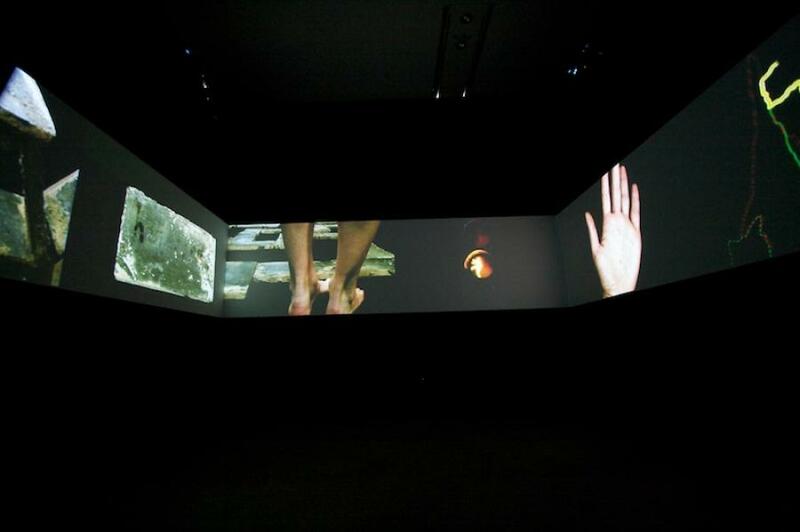 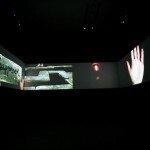 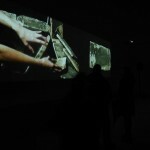 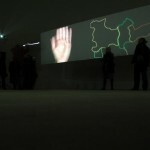 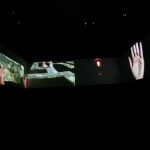 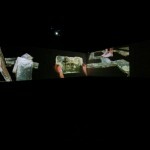 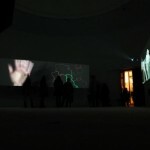 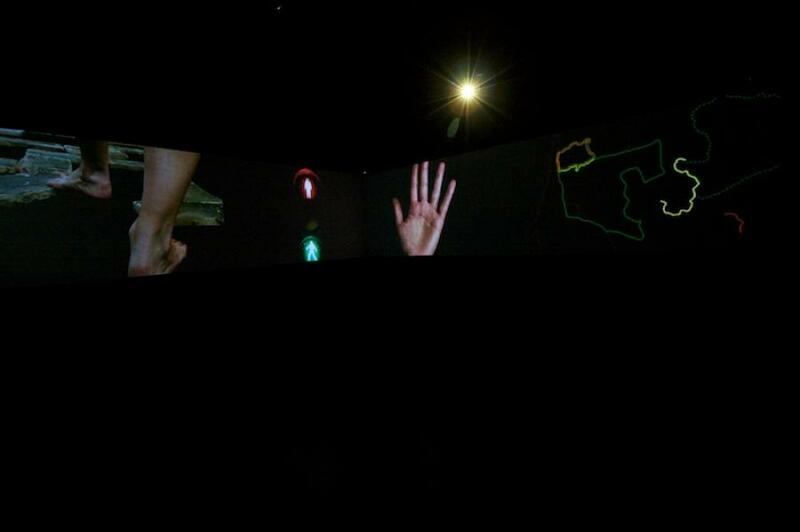 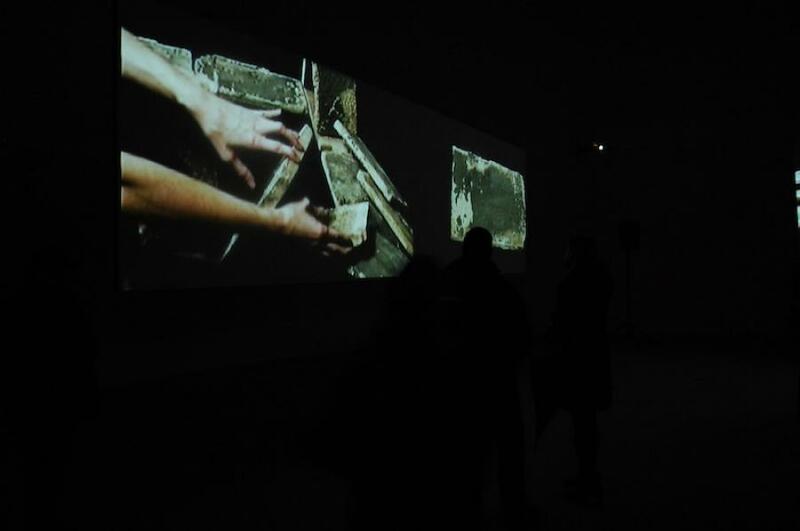 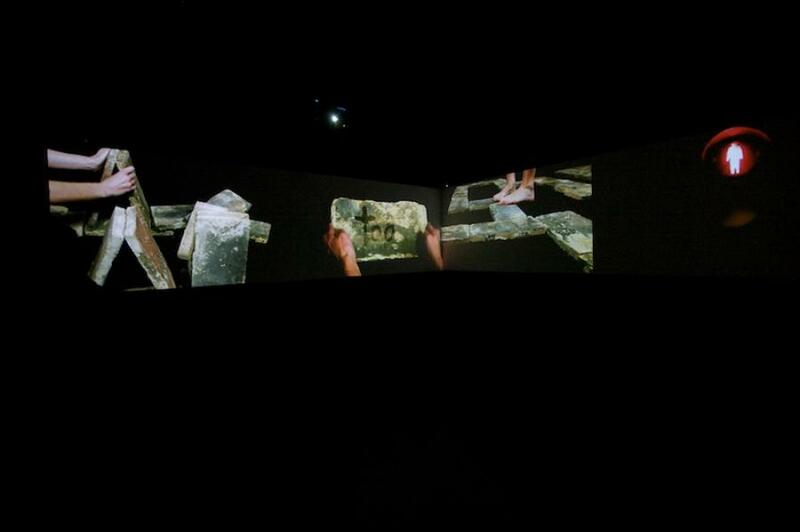 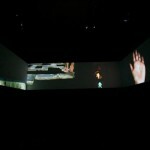 In the latter version, the viewer is placed in the center of the piece and has to turn around themselves to perceive all three looped projections simultaneously. 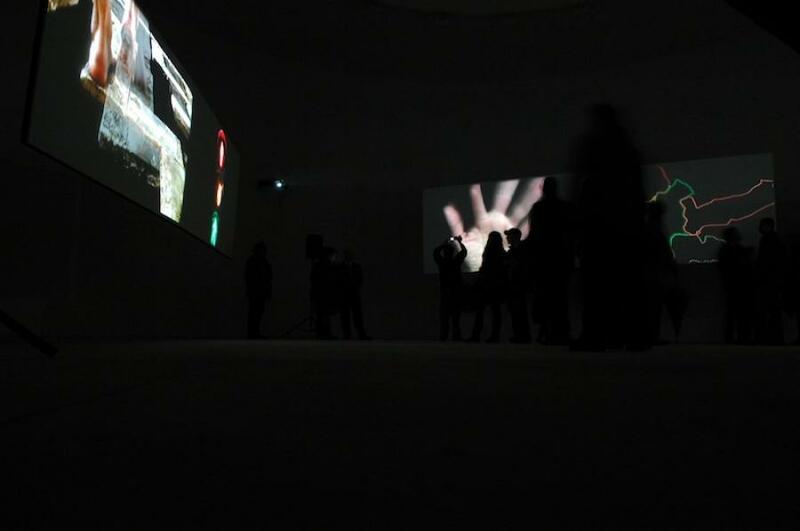 In any set up version it is important to achieve a strong physical presence and a physical relationship with the viewer. 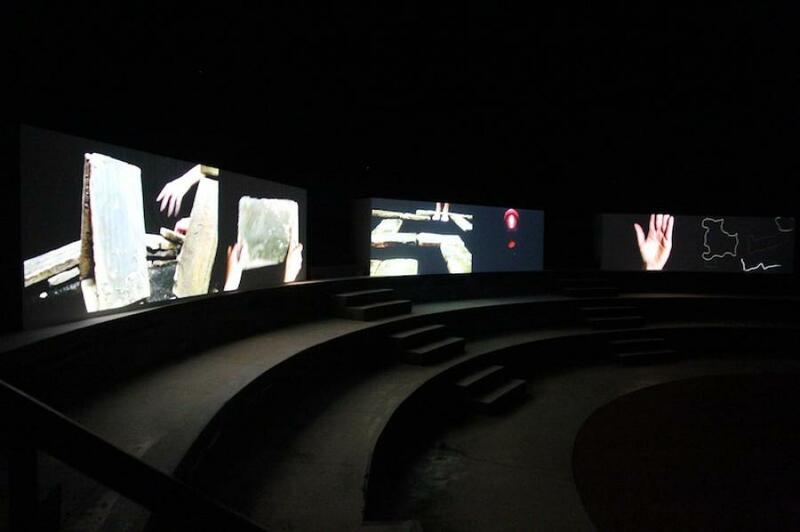 Optimal presentation is in a bigger gallery space (black box) and shown on larger screens, projected off three projectors. 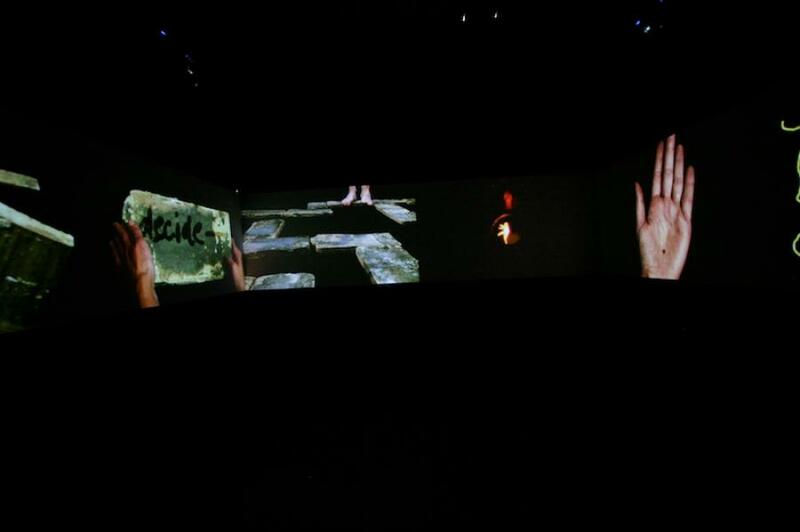 The space has to be big enough for installing three screens of minimum width 400cm. 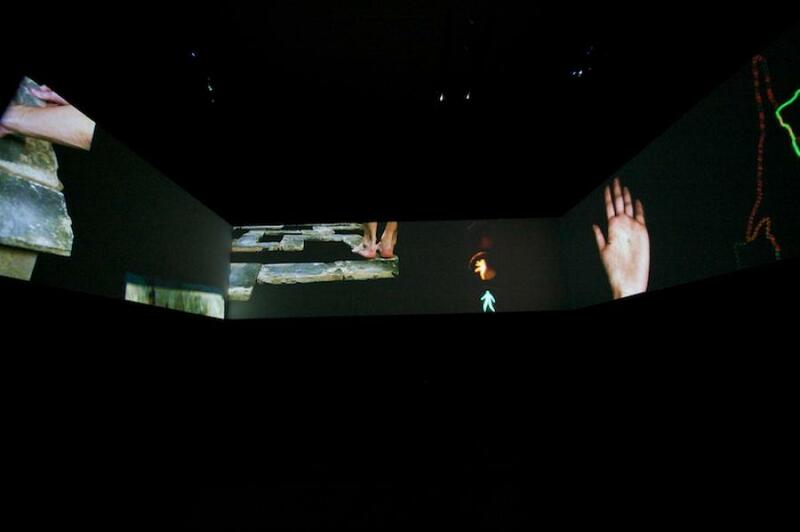 Videos are best shown in full HD format (played of three computers connected to projectors with full HD resolution). 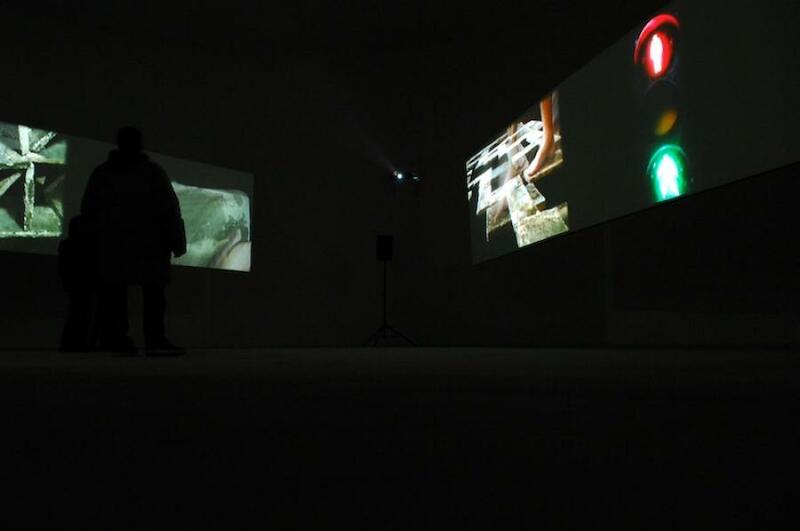 Projectors are hung from ceiling or mounted on walls, they must have vertical and horizontal lens shift, wide-angle 1,2:1 or 0,8:1 optics, and minimum 3500 ansi lumen and all three must be same brand and type. 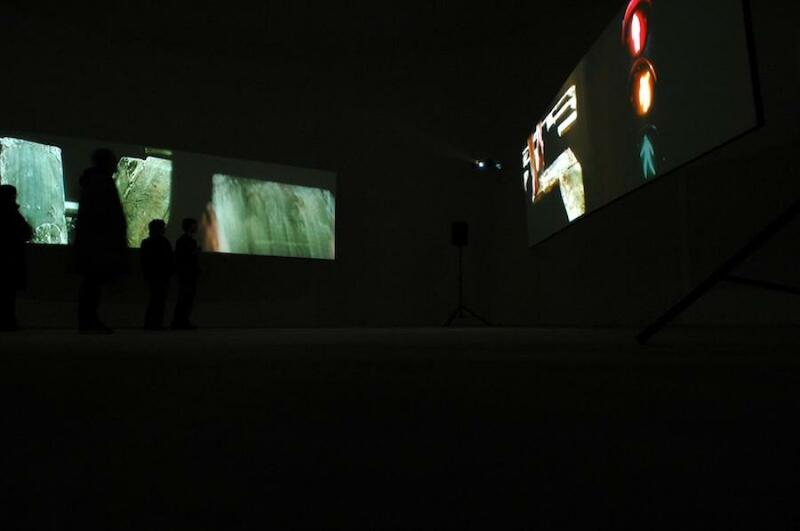 Additional equipment: four active speakers (if passive, then with surround amplifier), DVD player. 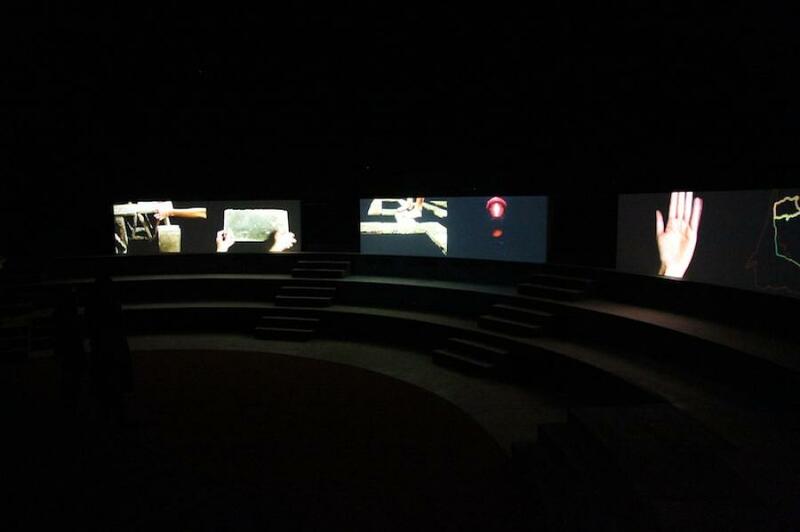 The looped sound is in a separate channel and is heard from four speakers. 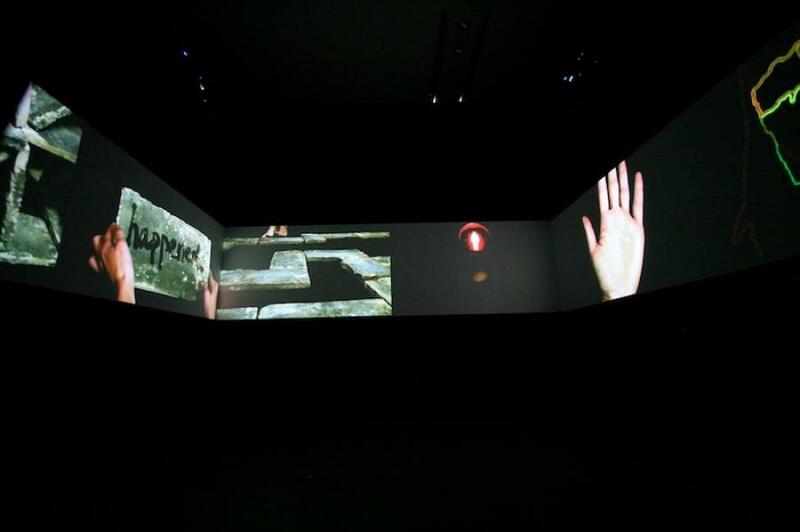 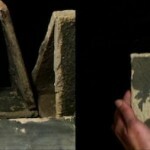 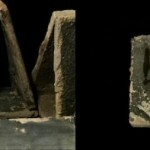 Each video image is 32:9 (consisting of two 16:9 images – two videos shown in a diptych). 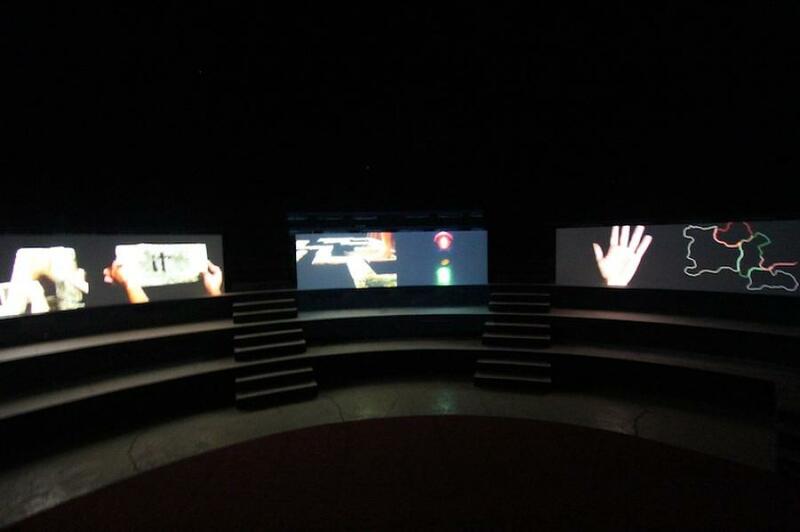 The screens have 32:9 ratio. 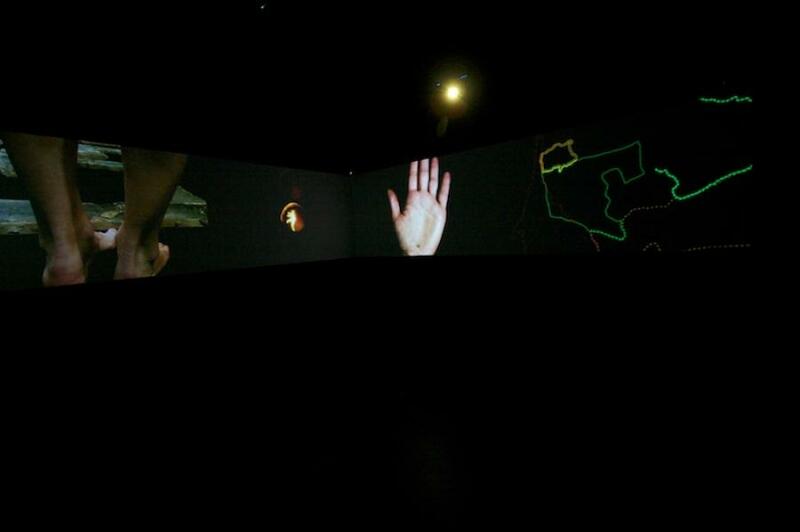 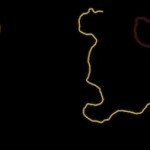 The projection itself is in 16:9 ratio, so to view only the 32:9 image on it, the black imageless part of the image should be masked out.